The bloodlines of the ponies on the Faeroe islands are one of the oldest and purest equine breeds on the planet and they have not been influenced by outside blood. 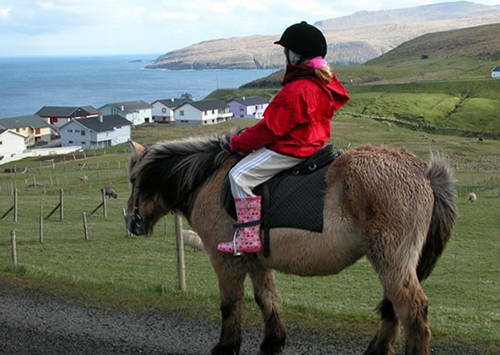 Also called the Faeroes Pony & the Faeroe Island Horse, The only other breed comparable in age & purity of the Faroe Pony is the Icelandic Horse. The Faroe Islands are located between Iceland & the Shetland Islands and are a self-governing community within Denmark. These animals are said to resemble those brought to the island from Europe & Asia around 200 BC. Although the Celts and the Scandinavians brought horses with them to the islands which likely shaped the breed as well. Their numbers sunk to a critical point and an association was formed to preserve their bloodlines and by 1988 their numbers had risen. Because these animals are so precious, they are not allowed to be exported. The only place to see a Faroe island horse is on the Faroe Islands. 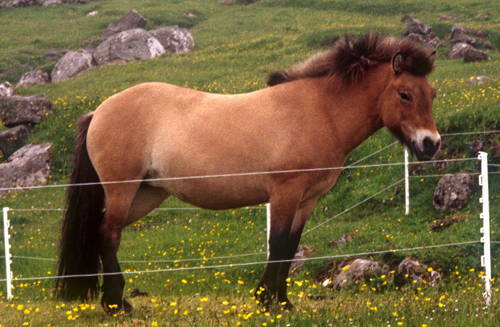 Do you have images or know more about the Faroe Pony breed? I’d love help completing this page, please contact me to get involved.